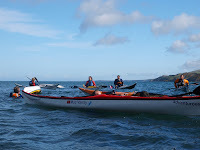 Baker Tilly 'Marine Corp' kayak team were on the water this morning. 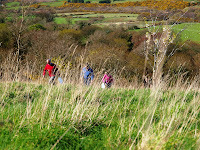 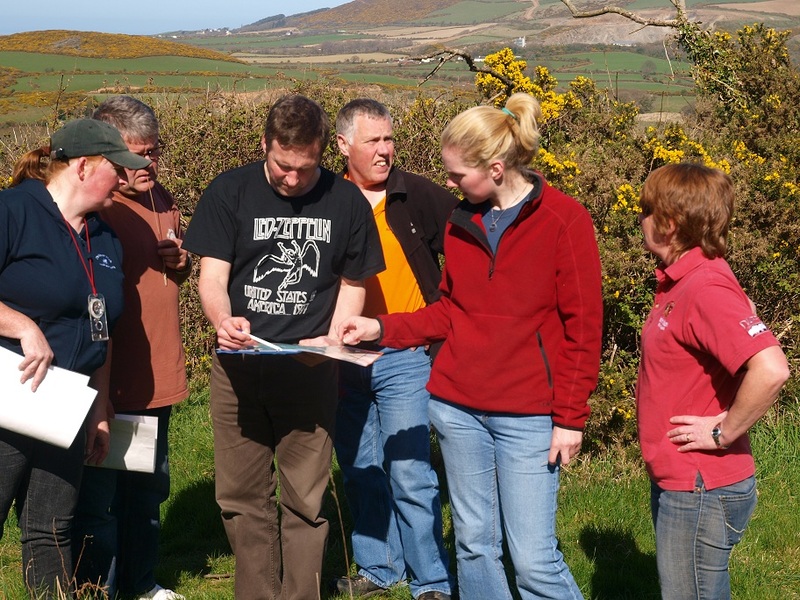 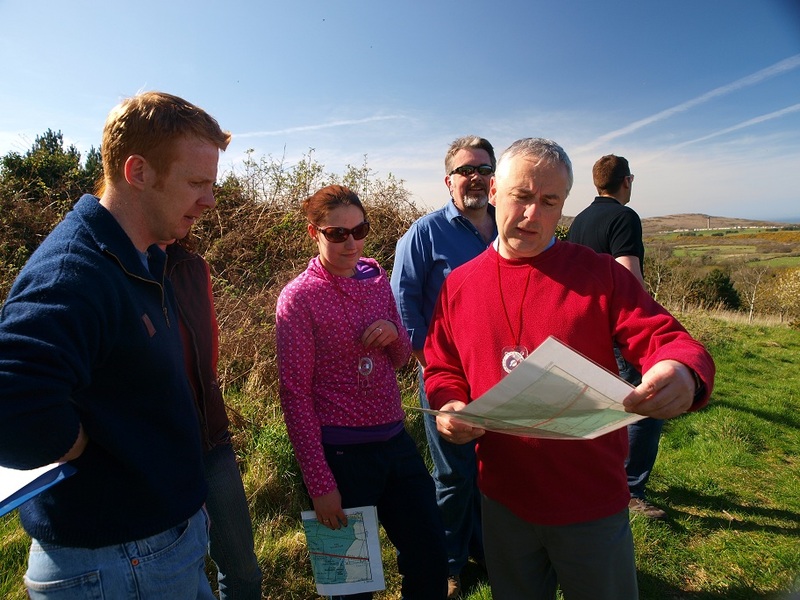 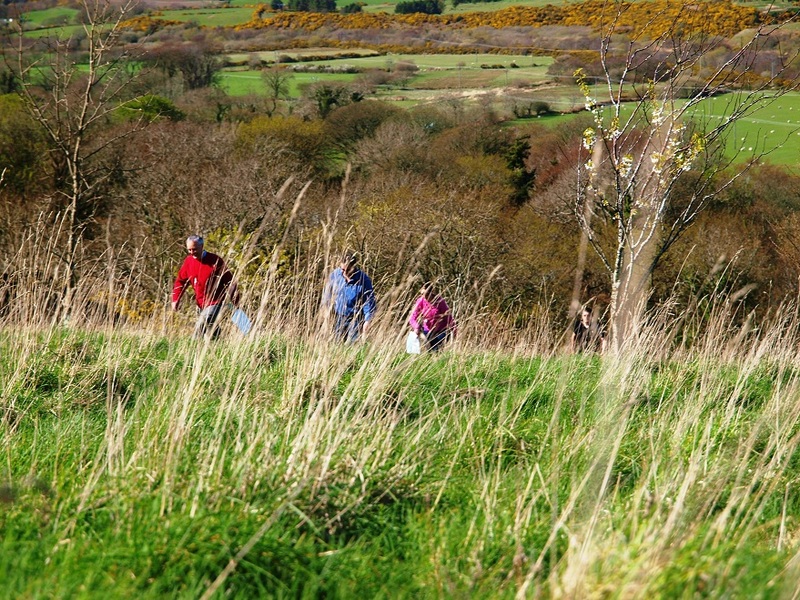 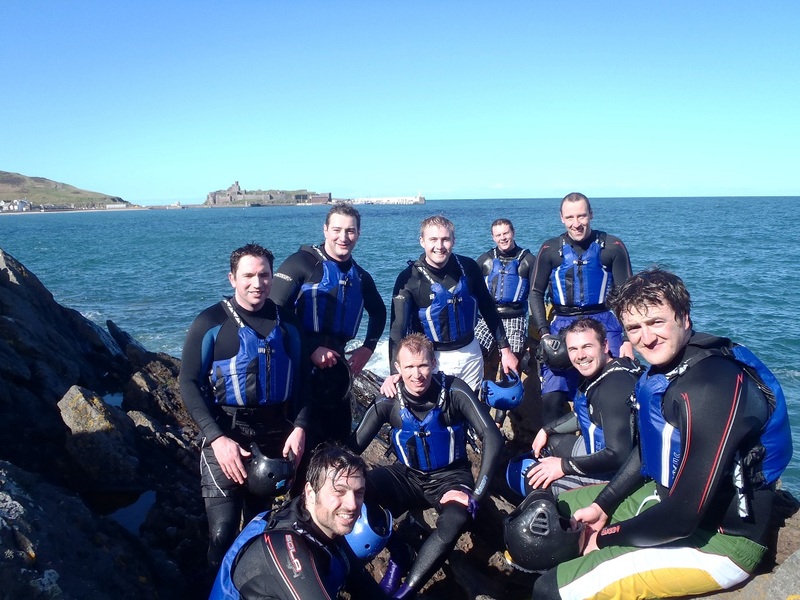 The first of the amateur teams who have entered this years Isle of Man Adventure Race (18th-19th June), to take-up their free training session ahead of the race itself. 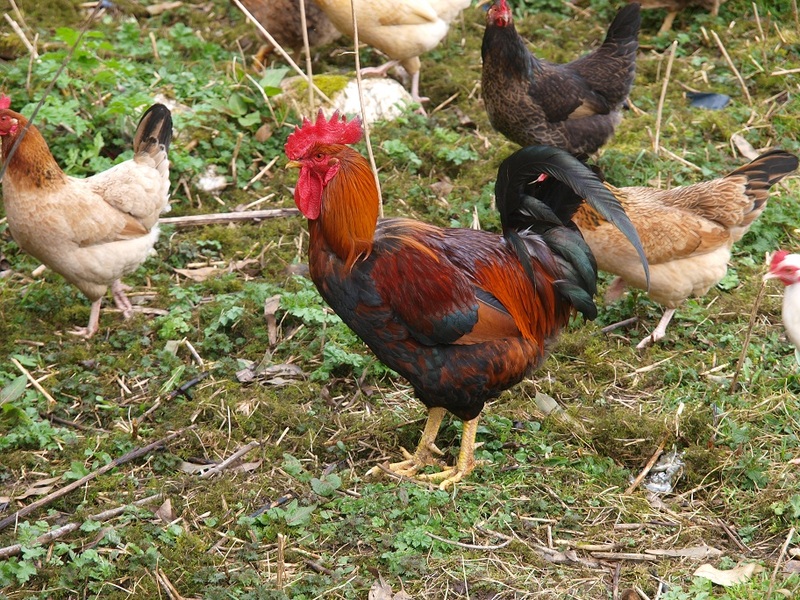 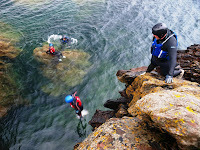 The training is offered to all 4 members of the team. Only two team members will actually take part in the kayaking leg of the Race on the day. Tini & Oscar looked on form and ready for the challenge ahead! 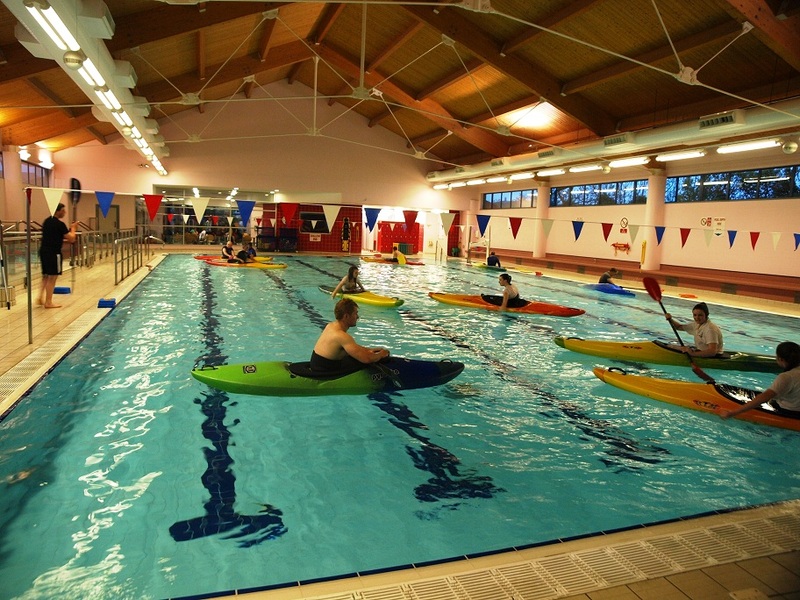 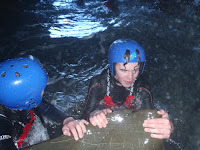 The last indoor kayak safety pool course until September is underway, with the last session next week. Its been a really enjoyable course, everyone achieving pleasing results. 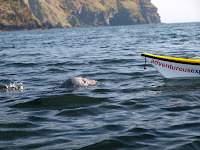 ﻿Alice joined me in the Mighty Triton for the morning trip. 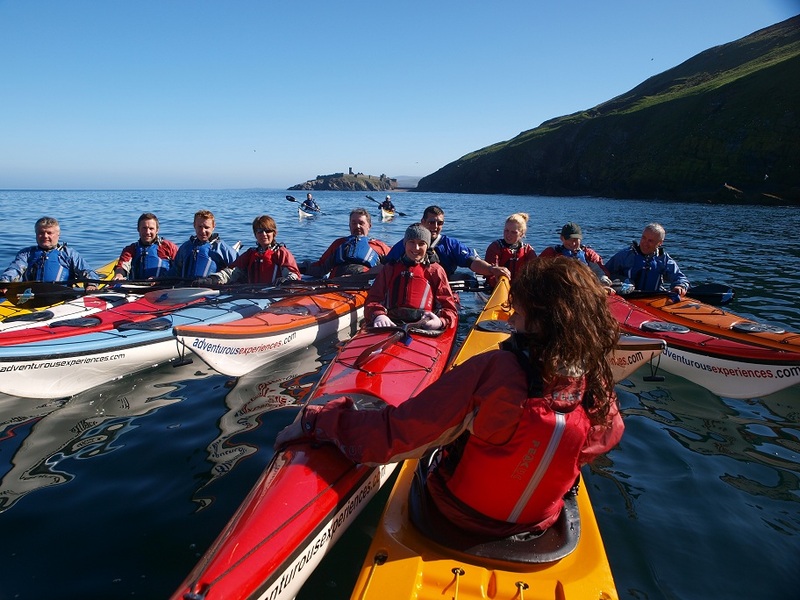 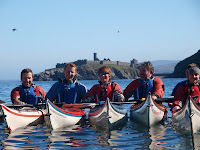 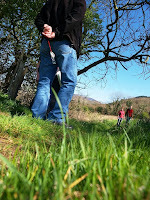 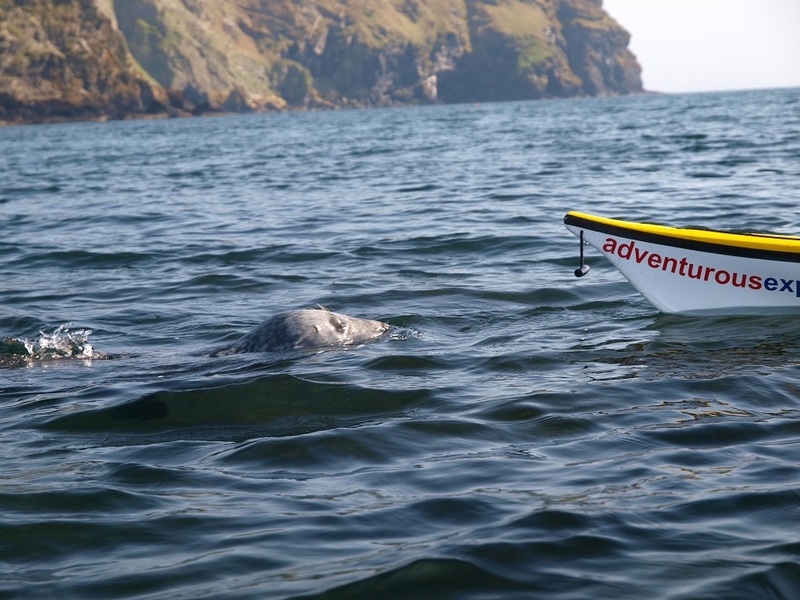 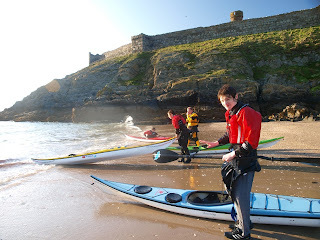 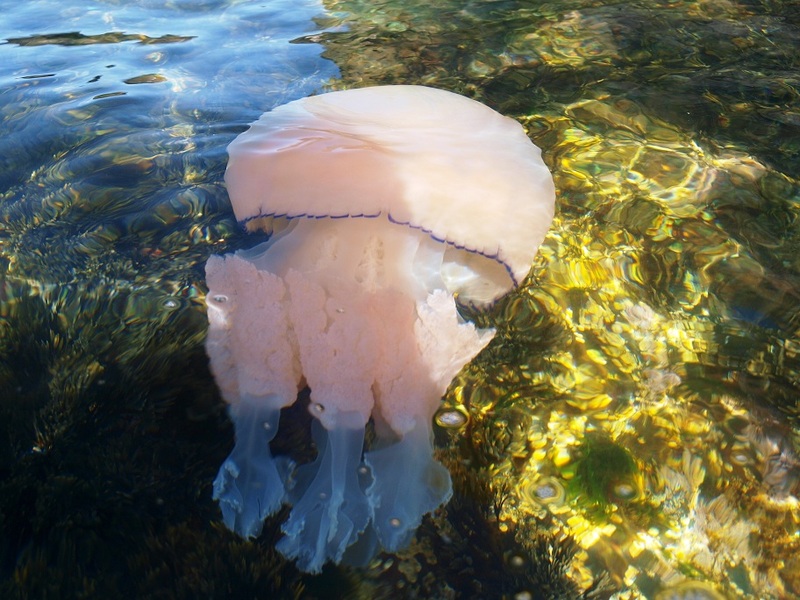 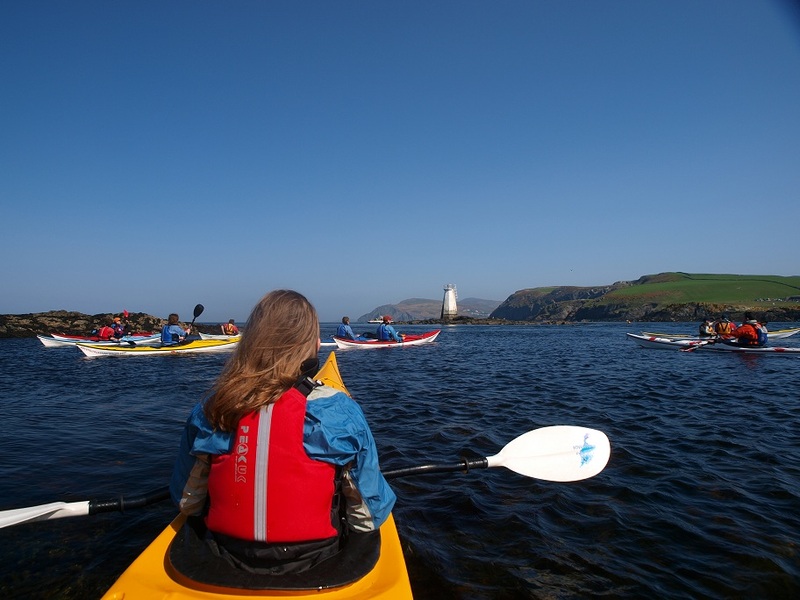 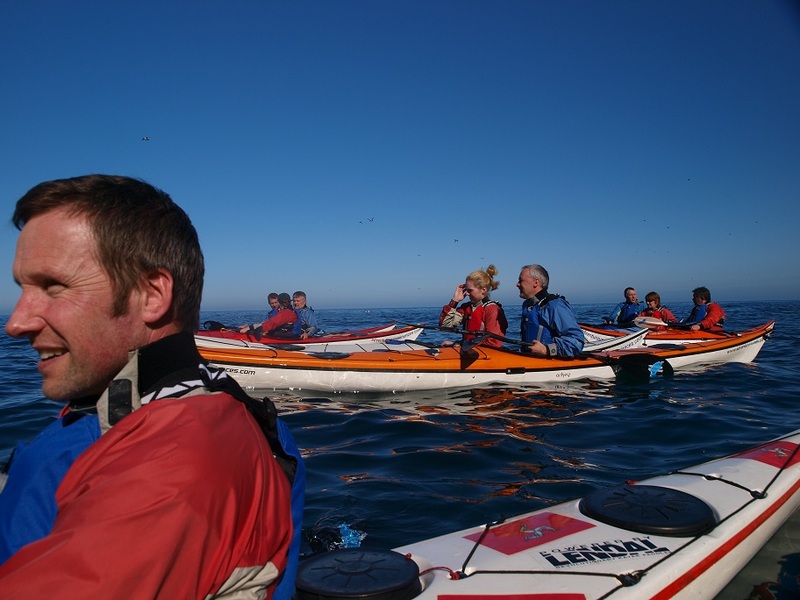 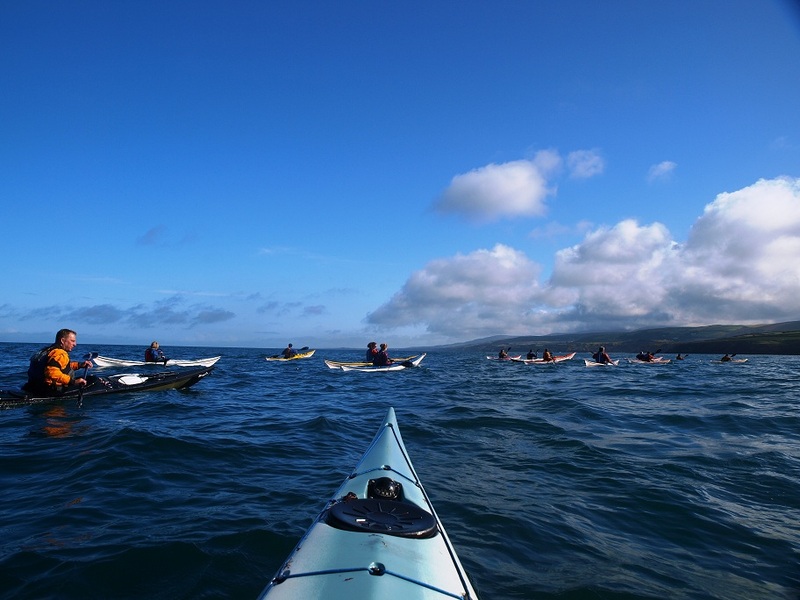 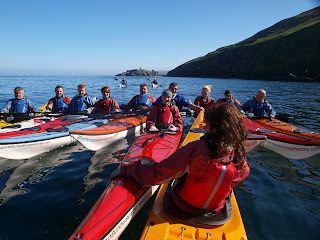 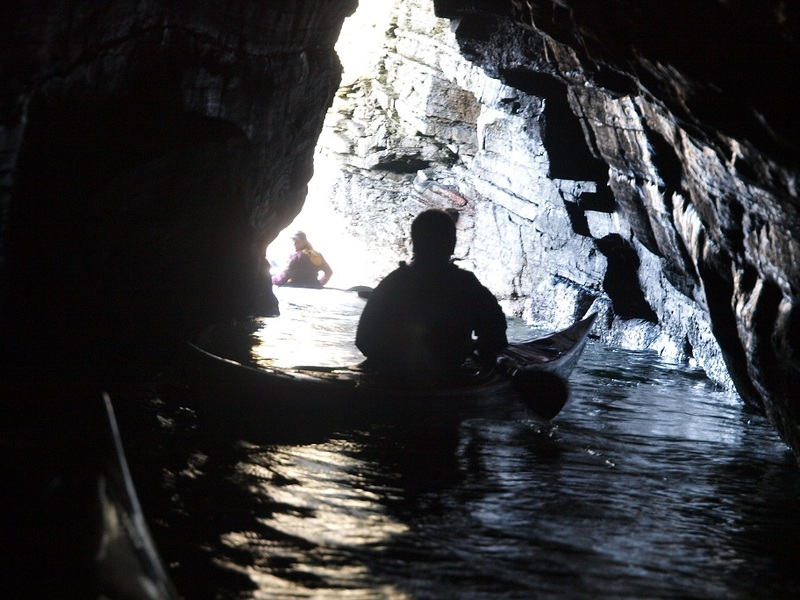 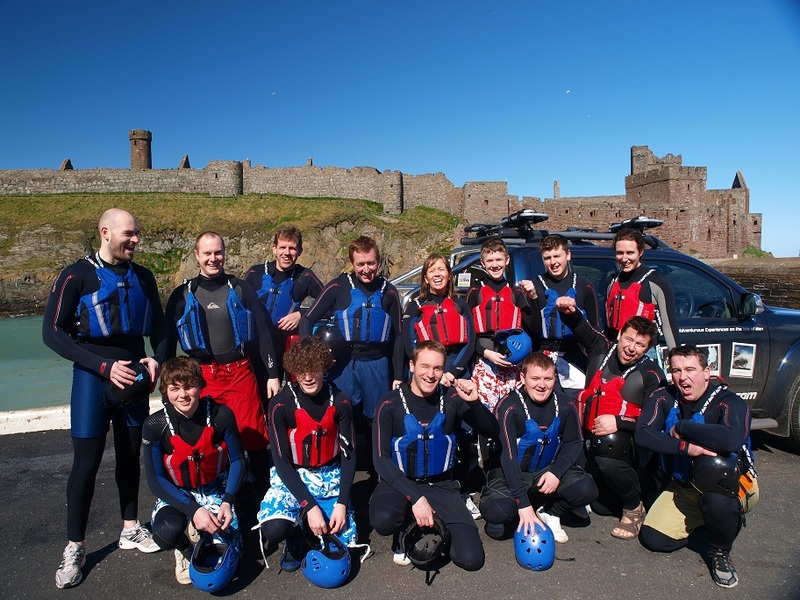 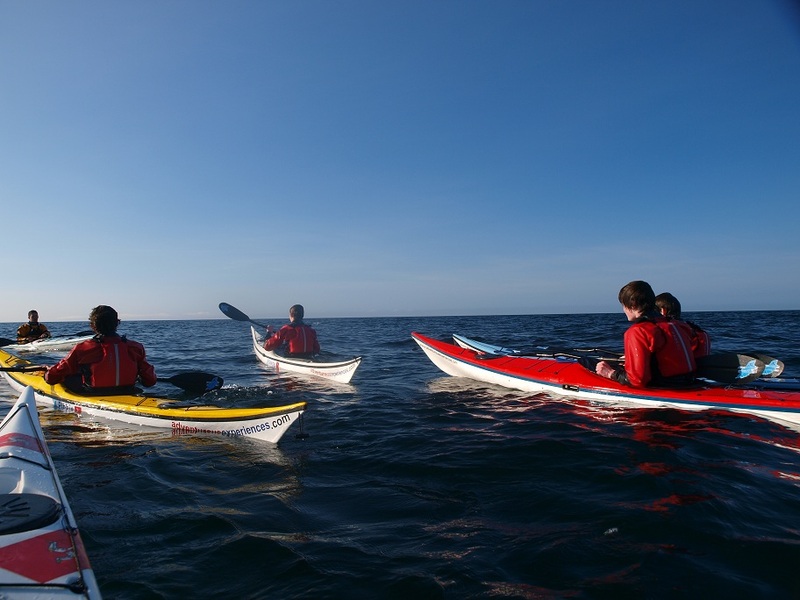 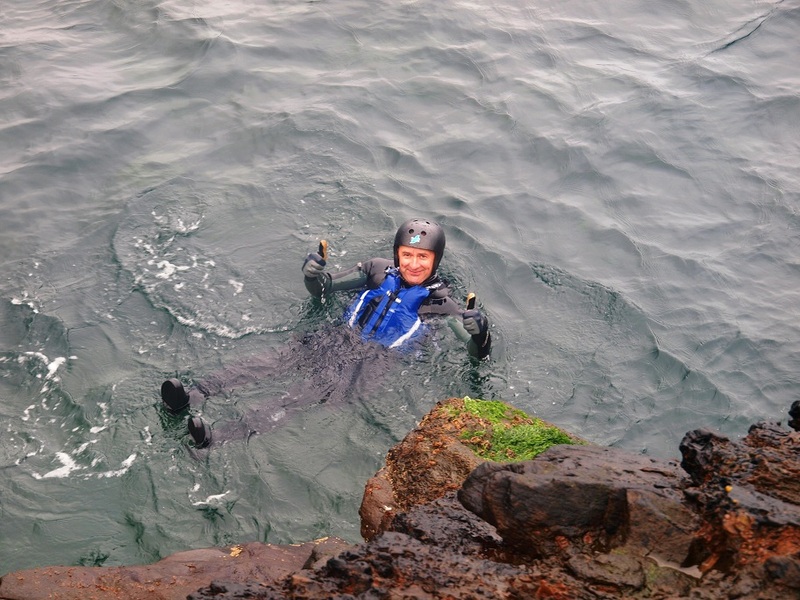 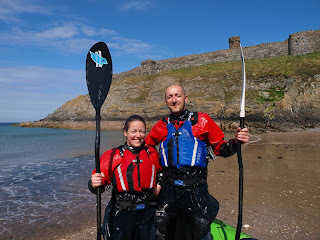 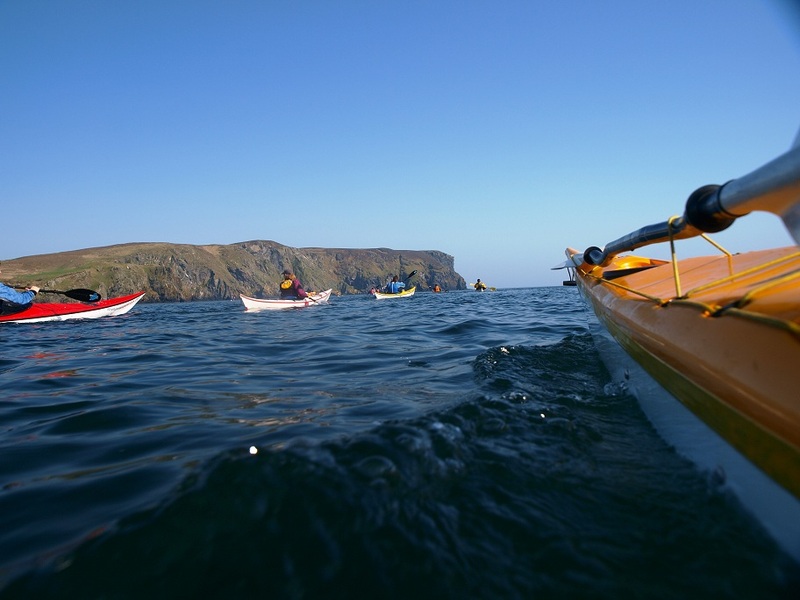 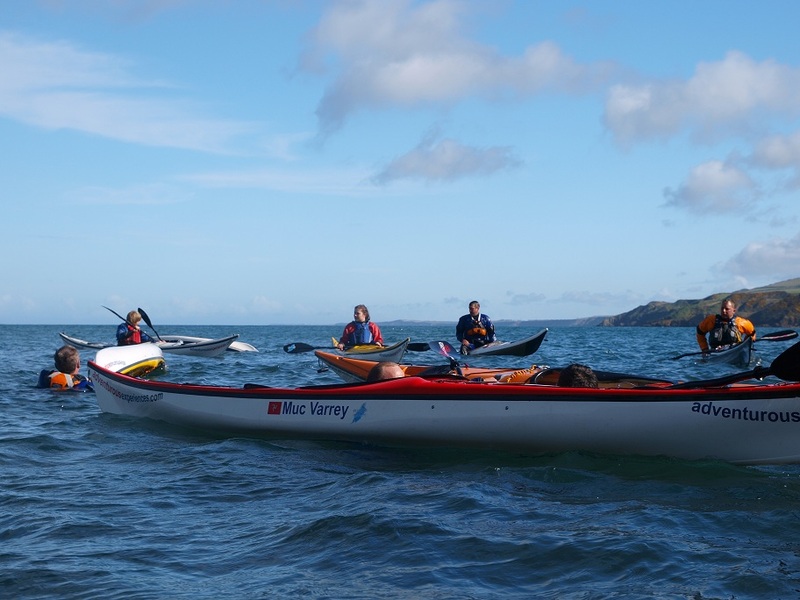 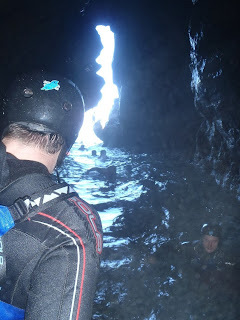 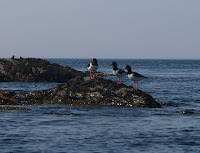 "...sea kayaking on a day off whilst working on a film on the Isle Of Man and had a fantastic day out. 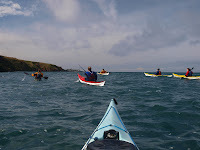 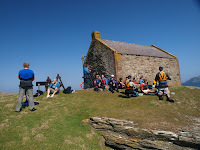 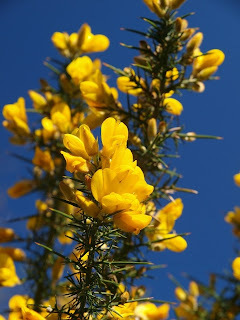 The trip was on very sunny and calm spring day, where we set off from Port Erin taking in beautiful cliffs, caves and shoreline before crossing the straights to the Calf of Man. 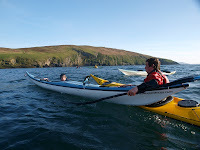 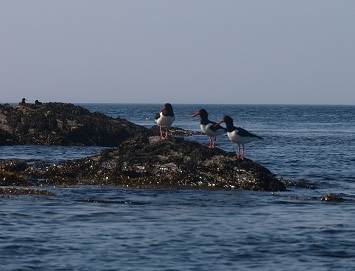 Kayaking provides a unique opportunity to see wildlife up close where we took in sea birds and masses of seals - I hope to return during summer months to see dolphins, porpoises and basking sharks. 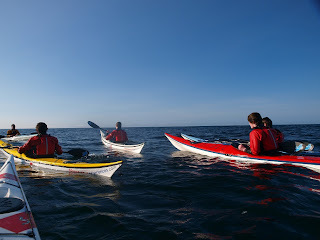 The guides were extremely friendly and helpful on all aspects of kayaking and very knowledgeable about the local environment and nature. 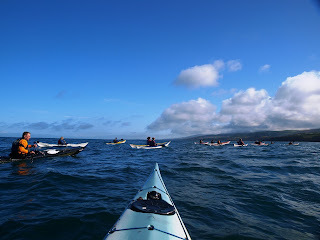 A Sea Kayak Trip off Peel - listening to the black guillemots whistle, watching the array of birdlife, spotting the first Puffins (whose arrival is typically just before the Basking Sharks are first sighted) as seals drift lazilly around the group..
After the homemade catered lunch in the sunshine, the afternoon's navigation exercise ran smoothly, rounding up another great day of learning and listening. Youth Scholarship - Development & Leadership Program North TR 9. 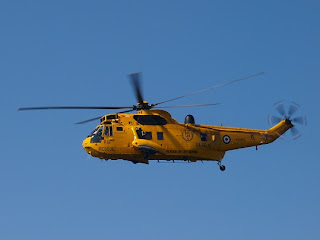 Thursday's session also ran from Peel, practicing rescues and group safety scenarios. 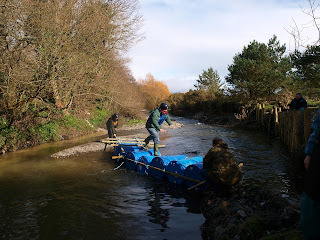 We're seeing some pleasing results, and i'm sure the Easter 2 day block will take this further. 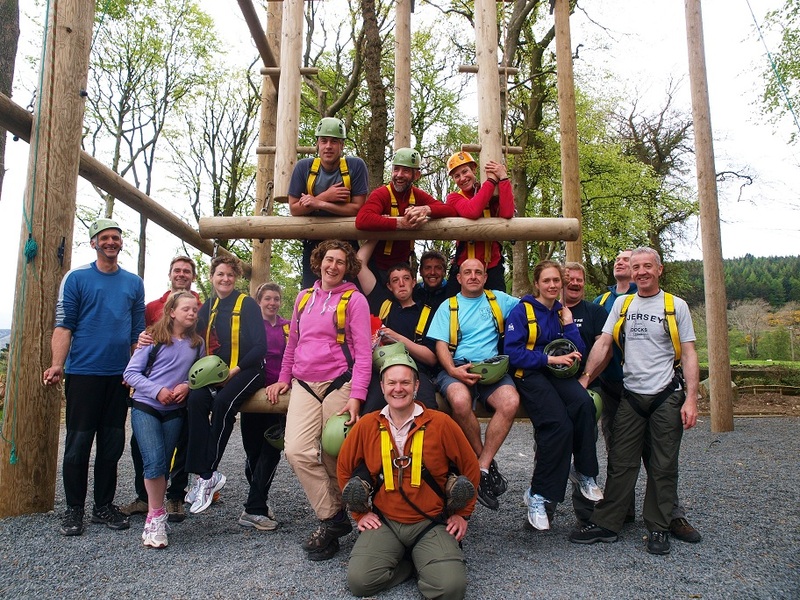 Corporate Training - team building day 1. 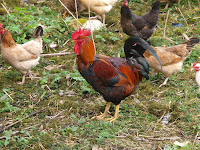 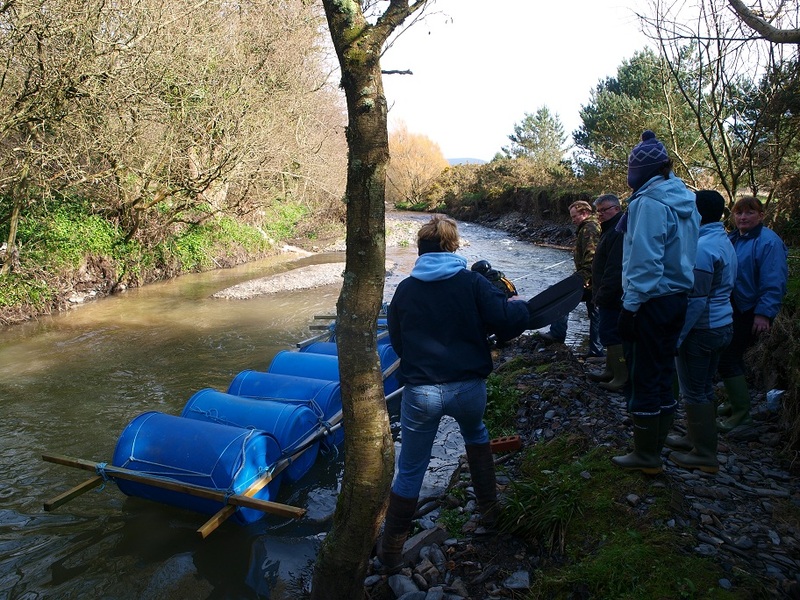 Highlighting and working through ways of working more efficiently as a team. 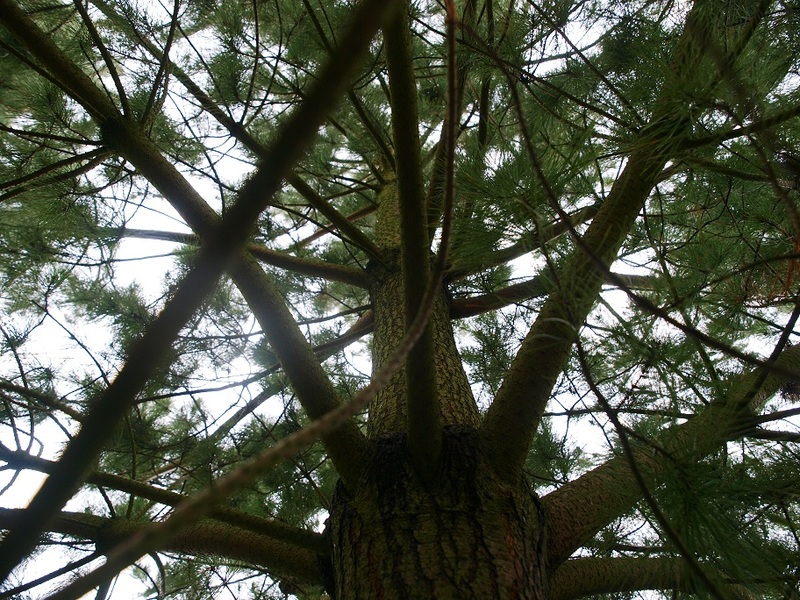 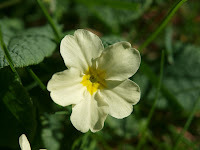 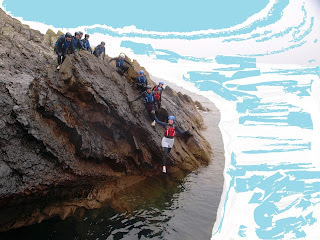 ...with various exercises along the way. Some swell added another dimension to coastal manoeuvres. 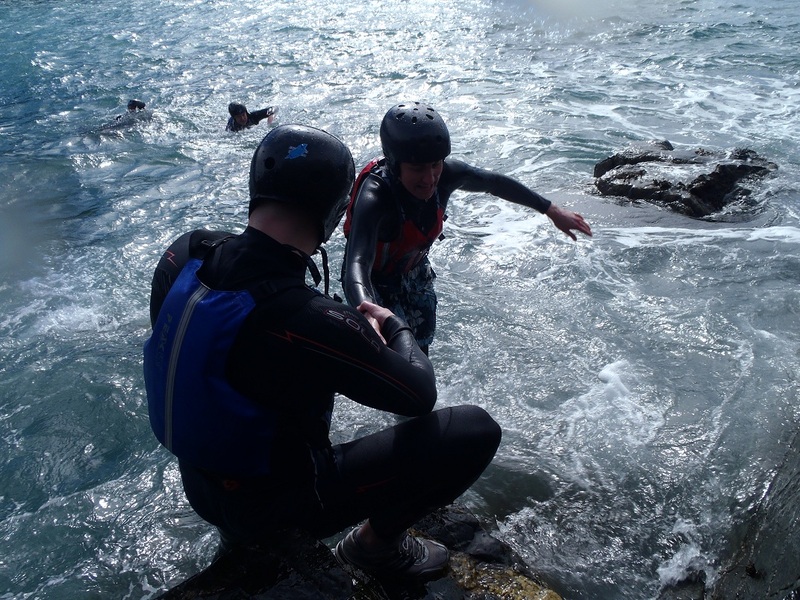 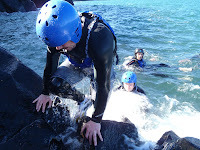 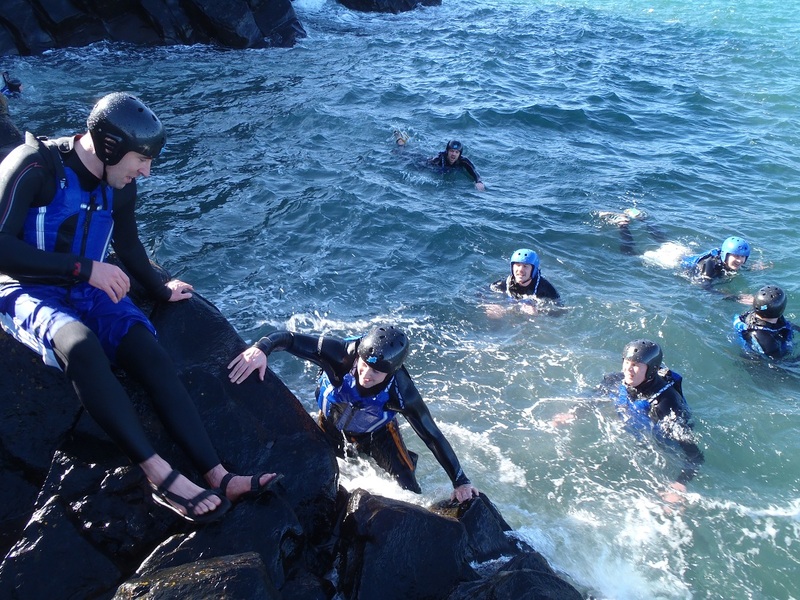 Yesterday's Coasteering sessions were fantastic fun, and we use two different routes to suit the groups and the conditions on the day. 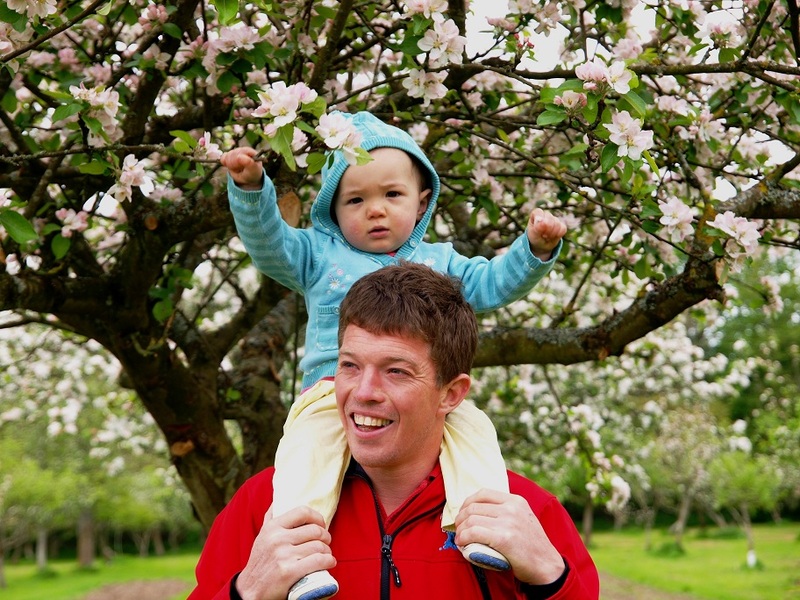 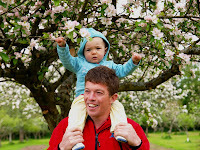 A spectacular day with plenty of action and adrenaline for those seeking it! 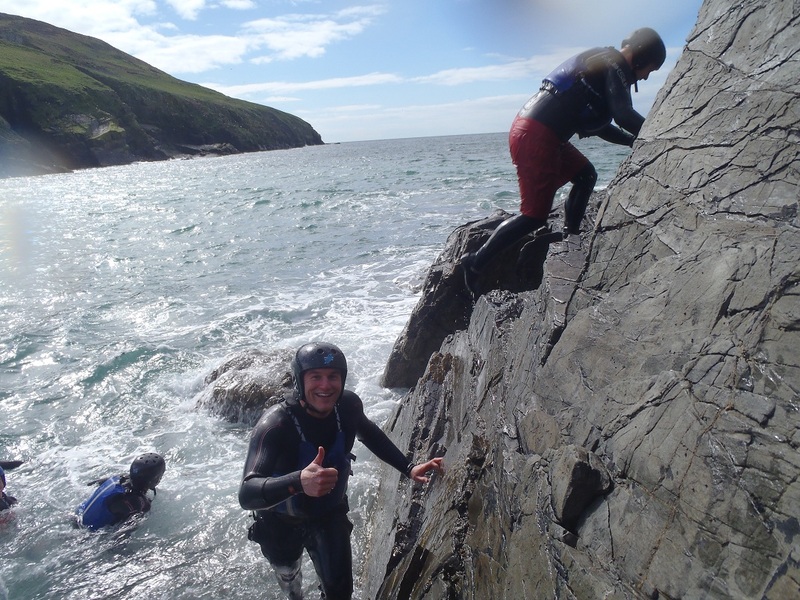 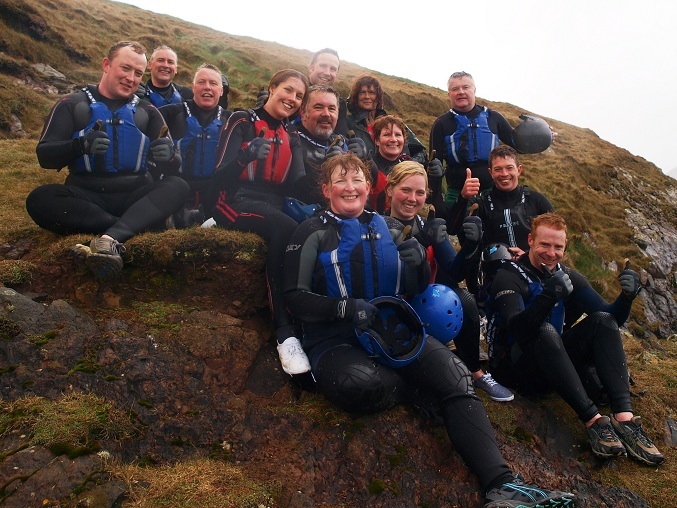 Tuesday was Day 1. of the second IoM Coasteering training seminar for exisiting Coasteering Guides, followed by Youth Scholarship - South TR 8. (navigation) followed by Indoor Pool Safety Course - March 3/4. 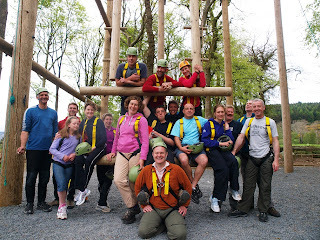 Wednesday was a Corporate Training - Team Building Day 1. - pics coming soon. 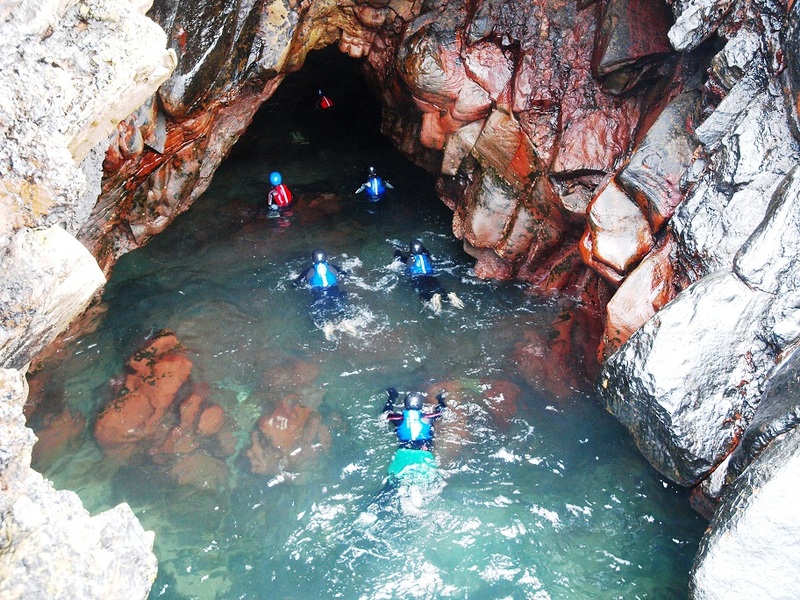 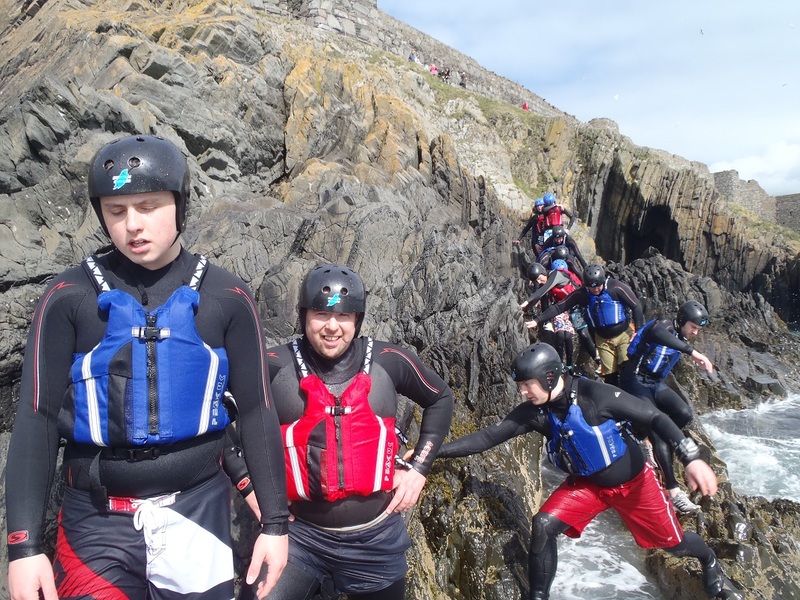 Thursday was Day 2. of the IoM Coasteering training seminar ran from Port Lewaigue, then back to Peel for Youth Scholarship - North TR 8. navigation session, followed by Staff Training.